SenTech’s digitally synthesized alarm with digital counter provides both multilingual voice messages and tone alarms. Digital counter increments with each alarm and maintains count during power loss. Counter may be magnetically reset. The standard alarm has multiple switch selectable messages or alarm tones and adjustable sound level capable of easily overcoming loud background noise or music. The alarm unit may also be custom programmed with any voice message or tone per the customer’s requirements. Compatible with most EAS systems. Operates on 12-24 VAC or VDC power from system or supplied power adapter. 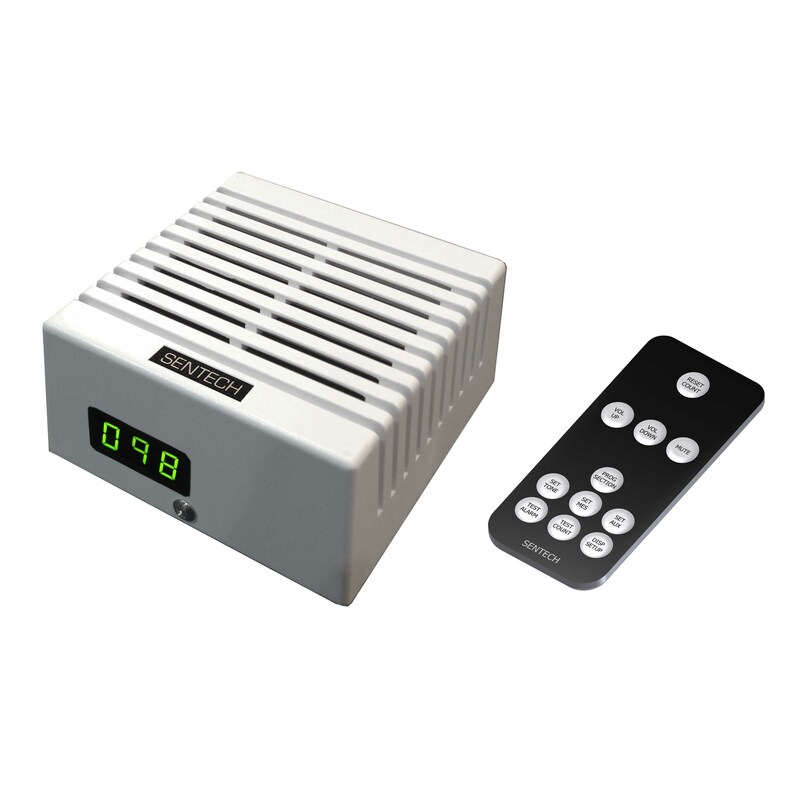 SenTech’s digitally synthesized alarm with digital counter provides both multilingual voice messages and tone alarms. 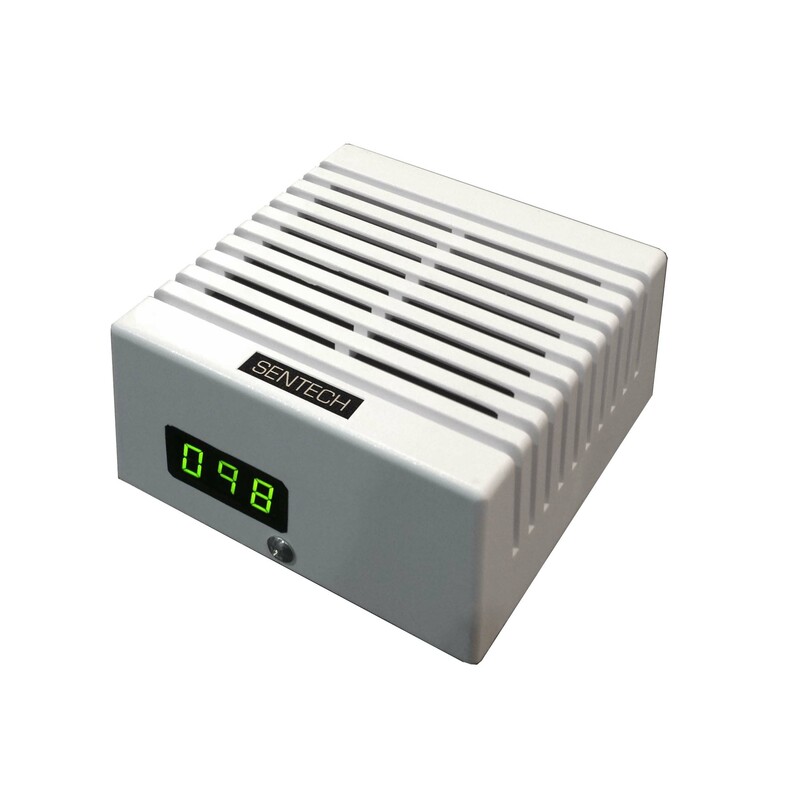 Digital counter increments with each alarm and maintains count during power loss. all functions are set via an Infra-Red remote control. The standard alarm has multiple selectable messages or alarm tones and adjustable sound level capable of easily overcoming loud background noise or music. The alarm unit may also be custom programmed with any voice message or tone per the customer’s requirements.